A REQUIREMENT OF NESARA/GESARA IS DETAILED IN #10 – OUR CURRENCY WILL NO LONGER BE DEBT NOTE, BUT BACKED BY PRECIOUS METALS–GOLD, SILVER, & PLATINUM. NOTE BY NANCY DETWEILER: I am posting this channeling by Nancy Tate because it seems to go along with my suspicions on April 11, when I experienced a series of military helicopters flying over my home and my granddaughter reported seeing 5 helicopters flying together that day. Then my sister, who lives near Fort Bragg Army base saw 3 helicopters lift up together hehind her condo. I felt then that they might be delivering gold to supply the gold backed currency that NESARA will bring about. St. Germain seems to be indicating the same. Others have intimated that an economic shift is close at hand. This impasse has no apparent solution for these Private Federal Reserve “Officials” and the real World Zionist Powers behind them (whom they serve). The Federal Reserve System has operated as an Unregulated Checkbook for an out of control, out of touch, bought-off Congress that takes its marching orders from Israeli espionage fronts and wealthy lobbying groups inside America like AIPAC. These Israel Espionage Fronts inside America are controlled by the World Zionists operating out of the City of London Financial District, a separate country with its own Police Force and Ambassadors. Normally any governmental spending body such as Congress would be limited by the amount of taxes collected, and would have to balance its books like any normal family. However, because the Federal Reserve System issues as much money as Congress want to borrow, there have been no real spending limits. The alleged debt owed by Americans (with interest accruing constantly) to this private Federal Reserve System is now estimated to have exceeded 14 trillions USDollars, or approximately five times the current annual Congressional Budget, a staggering total, and approximately one year of America’s Gross National Product. And the most startling thing about this supposed “National Debt” is that is clearly Illegal, Unconstitutional, and actually imaginary. Yes, that’s right, Americans cannot be legally charged interest or principal for using their own money. Numerous Members of Congress were influenced, bribed and even coerced to go along with this intended legislation being covertly promoted by the City of London Rothschild Zionist private Central bankers. The rest is history and is a secret most sordid one at that. 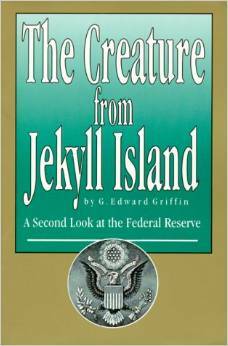 The Federal Reserve Board run by the individual Banking Families who own the stock is a closely guarded secret. This Board has no USG oversight and is beyond the current reach of the USG as long as Congress, the Judiciary and the Administration refuses to enforce the U.S. Constitution, the Bill of Rights or the Rule of Law. Consequently the the City of London Zionist Bankers have been able to remotely control the American Economy by determining monetary policy and setting interest rates and determining how much money is issued. This unregulated issuance of money and the providing of it to greedy Members of Congress to distribute to their campaign sponsors and “special friends” through special interest legislation has resulted in a complete disconnect between Congressional Spending and any true financial reality. It is now generally recognized by Political Insiders that immense kickbacks are provided in very creative ways to those that vote for these “Special Interest, Corporate Welfare” legislation. These kickbacks are often disguised as very liberal honorariums for short meaningless speech appearances, large PAC campaign donations, special all-paid junkets, lucrative revolving-door jobs and consultancies, and even special deposits to offshore accounts. This is truly a very crafty trick performed by the private Central Bankers to acquire the wealth of the users of their FIAT debt-note money. American used to have real money issued that was redeemable in Gold and Silver. They were called USDollars and were either Gold Certificates or Silver Certificates. But all that changed when President Nixon changed the USDollar to have no real backing by Gold and Silver anymore as he negotiated an international agreement for the USDollar to become the US Petro Dollar and be used for all crude Oil Transactions. What this means now in practical terms is that when the Federal Reserve System creates “Money” and puts it into circulation and use, it retains ownership of the Principal and expects it to be repaid with Interest which constantly accrues. This is what the so-called National Debt consists of and is clearly financial fraud since FIAT/fake currency is not real money and is not allowed to be masqueraded as such by the US Constitution. Calling issued debt-notes money is the biggest trick ever perpetrated against the American public and perhaps the greatest financial fraud in history against the American Citizen. Certainly Madoff should be proud of his Federal Reserve System Associates and is a “chip off the old block” so to say. The Federal Reserve System has become the World’s greatest Ponzi Scheme because it has issued an absurd amount of money to Congress to spend like drunken sailors all over the World. In fact so many American debt-notes aka “US Petro Dollars” have been spent and disbursed all over the world that experts now believe that eventually, if not sooner than later, the value of the US Petro Dollar will easily descend to almost nothing. This descent to minimal value will likely be greatly accelerated when the BRICS ECONOMIC DEVELOPMENT BANK comes on line in the near future. The US Petro Dollar has functioned as the World’s Reserve Currency ever since an arrangement was negotiated by President Richard Nixon who took America off the Gold Standard at that time. But once the BRICS System goes live, many economic experts expect the Worldwide USDollar Derivative System, the largest Ponzi scheme in History, to collapse like a house of cards. Once this happens there is likely to be a catastrophic collapse in the value of the USDollar and it will become unlinked to oil sales and will no longer be the World’s Reserve Currency. Now for the really bad news. 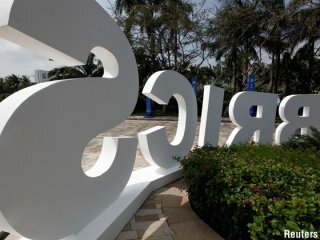 As of right now there are supposedly 139 nations that have signed onto the BRICS System, either by actually signing the Agreement or sending a Letter of Intent to do so. This now includes Germany, France, Australia and picture this, even the UK. It is no secret that the BRICS System originated in the imagination of the leaders of Russia, China and Brazil who felt that they had been used and abused due to the USD being used against them. 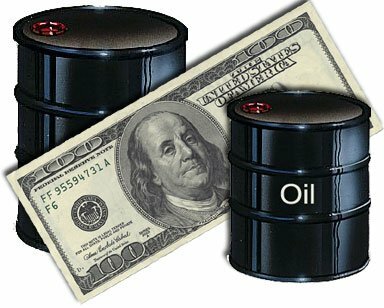 Much of the World now feels that America has used the US Petro Dollar as a means to abuse them economically and politically and want to completely detach all their trade from it and eliminate the great advantage American economy has had from their debt-notes being accepted as the World’s Reserve Currency. Perhaps the USG view the BRICS phenomena as the pet-project of President Putin and the Russian Federation and is now attempting to start a New Cold War despite the fact that the Soviet Union and Russian Bolshevism no longer exists in the Russian Federation, only in the City of London where it originated, and in Israel, the sole surviving nation-state remnant of Russian Bolshevism. How did this illegal, Unconstitutional Federal Reserve System which claims to be a Bank and a Cash Reserve, when it is neither, get themselves and America into this current impasse and unresolvable debacle in the first place? This was all accomplished through political intrigue and covert operations run by the City of London Rothschild run Zionist Central bankers. It was also accomplished by a partnership between Big Oil run by the World Zionists and the private Federal Reserve System. Here is the part that is hard for most to fathom. The Zionist controlled Big Oil companies have used America’s debt-note system as political and financial cover to enslave the world and make many millions complete debt-slaves to the City of London Bankers and their stateside franchisee the Federal Reserve System. Accountability is perhaps right around the corner. The Federal Reserve System’s proxy hold on the World is now facing a sudden catastrophic end. Those who created and still run this huge Ponzi scheme and fraud against the American people and the World are going to fall flat on their faces and be fully exposed. They are likely to then be held accountable for this immense financial fraud and theft of the ages upon America and the World. Unless……….they create some immediate catastrophic cover and use this as a means to activate their World Zionist secret police occupation force DHS inside America. Serious options for the Bankster Kingpins to be able to head-off a very serious problem of impending and complete accountability to the public they have asset stripped of most of their wealth, jobs and futures. If the US Petro Dollar collapses and a catastrophic Global reset occurs as is expected (unless somehow mitigated), those bankers responsible will be fingered and held accountable one way or another unless they do something major. Their options include starting a nuclear WW3 with the Russian Federation and/or China, instituting a major epidemic that kills many millions inside America, or starting a new American Civil War between their Zionist Occupation force Homeland Security (DHS) and the American Gun Owners, hunters, Veterans, Patriots and folks who have “woken up” to the USG scam and major illegal power grab since 1913 and the USG Assassination of JFK. The USG is now working hard to start a major war with Putin and the Russian Federation over Crimea using Cutout Assistant Secretary of State Victoria Nuland. She has admitted that the USG has already funneled 5 Billion USD to the Ukraine Leaders, and many experts view this as money to support Terrorist actions and attacks against Pro-Russian Federation people living in the Ukraine, especially Crimea. Putin, the consummate Statesman, doesn’t show his cards, but perhaps holds a full hand. So far, Putin has shown himself to be a true Statesman and has avoided the USG provocations which are clearly dictated by the City of London World Zionists. It should be pointed out that it is probably not a wise choice to continue these provocations unless the USG truly wants a nuclear WW3, since experts who know Putin personally, claim that he will become a very resourceful and competent opponent in any forced war effort against the Russian Federation. Avoidance of accountability for this intergenerational group of Zionists that seized America in a secret Coup d’ etat in 1913 with the passage of the illegal, Unconstitutional Federal Reserve Act is dependent on the Zionists getting complete control over America, disarming all Americans, and instituting of martial law using their Secret Police Occupation Army inside America, Homeland Security (DHS). If they fail in this, basically its over for them and their evil spell on America will be forever broken and millions will demand justice. And as the masses demand justice they will insist on prosecutions of all involved, bankers and politicians and actions to “claw-back” all the alleged lawful BAILOUT funding, as well as the complete cancellation of all the USG deficit which is a phony debt anyhow. It would be an understatement to describe these perps who run this huge Ponzi Scheme as in a state on ongoing panic. Normally their Hubris would deaden any such anxiety or fear, but this time they can easily imagine their whole system coming down upon them like a House of Cards blown apart by the BRICS System as soon as it comes on line. The World Zionists tried to draw our Great Nation America into another major war for Israel and the Multinational Oil companies. President Obama is caught right in the middle of all this. His current strategy is to beg for an impeachment attempt which he knows will be blocked in the US Senate where he has a clear majority of Democrats. He believes this will strengthen his position and he can say, “See I am the real President and cannot be impeded any longer.” Then perhaps he plans to keep instituting what he can’t get Congress to do using “Executive Orders” which many view as illegitimate, unlawful and Unconstitutional. Actually he is not really the President at all and neither were any others supposedly elected after President Ronald Reagan became President on January 20 1989 after winning his election. 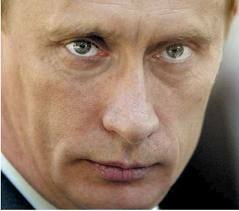 (2) Lately President Obama has been threatening Putin and the Russian Federation with serious sanctions. This has been unwise because Putin and other nations have countered by making huge Intel dumps into the public sector of exceedingly embarrassing incriminating information related to the hijacking and asset stripping of America by World Zionists working out of the City of London and their use of Nuclear Blackmail to manipulate and control numerous US presidents since Ronald Reagan. European Allies are ditching America at an unprecedented rate as never before. The US Administration and the AIPAC controlled members of Congress were hoping that Germany and France would join the US sanctions against the Russian Federation. No dice, they both buy a great deal of oil and Natural gas from the Russian Federation and understand such an actions would be stupid, easily ending up doubling their pricing of such or even higher. The final result of all this is likely to be a major Restart and Re-grouping of monetary and credit policy inside America and a restoration of Constitutional currency without offshore, City of London controlled foreign invaders disguised as bankers. As long as cooler heads prevail and prevent the World Zionists invaders and hijackers of America from starting a nuclear WW3, or a major new war in the Mideast or the Ukraine, or Homeland Security from provoking a major Civil War inside America, it looks like Americans will see a return of the real USDollar, real United States Constitutional Money. An almost hysterical antagonism toward the gold standard is one issue which unites statists of all persuasions. They seem to sense-perhaps more clearly and subtly than many consistent defenders of laissez-faire-that gold and economic freedom are inseparable, that the gold standard is an instrument of laissez-faire and that each implies and requires the other. What medium of exchange will be acceptable to all participants in an economy is not determined arbitrarily. First, the medium of exchange should be durable. In a primitive society of meager wealth, wheat might be sufficiently durable to serve as a medium, since all exchanges would occur only during and immediately after the harvest, leaving no value-surplus to store. But where store-of-value considerations are important, as they are in richer, more civilized societies, the medium of exchange must be a durable commodity, usually a metal. A metal is generally chosen because it is homogeneous and divisible: every unit is the same as every other and it can be blended or formed in any quantity. Precious jewels, for example, are neither homogeneous nor divisible. More important, the commodity chosen as a medium must be a luxury. Human desires for luxuries are unlimited and, therefore, luxury goods are always in demand and will always be acceptable. Wheat is a luxury in underfed civilizations, but not in a prosperous society. Cigarettes ordinarily would not serve as money, but they did in post-World War II Europe where they were considered a luxury. The term “luxury good” implies scarcity and high unit value. Having a high unit value, such a good is easily portable; for instance, an ounce of gold is worth a half-ton of pig iron. Whether the single medium is gold, silver, sea shells, cattle, or tobacco is optional, depending on the context and development of a given economy. In fact, all have been employed, at various times, as media of exchange. Even in the present century, two major commodities, gold and silver, have been used as international media of exchange, with gold becoming the predominant one. Gold, having both artistic and functional uses and being relatively scarce, has always been considered a luxury good. It is durable, portable, homogeneous, divisible, and, therefore, has significant advantages over all other media of exchange. Since the beginning of World War I, it has been virtually the sole international standard of exchange. If all goods and services were to be paid for in gold, large payments would be difficult to execute, and this would tend to limit the extent of a society’s division of labor and specialization. Thus a logical extension of the creation of a medium of exchange, is the development of a banking system and credit instruments (bank notes and deposits) which act as a substitute for, but are convertible into, gold. A free banking system based on gold is able to extend credit and thus to create bank notes (currency) and deposits, according to the production requirements of the economy. Individual owners of gold are induced, by payments of interest, to deposit their gold in a bank (against which they can draw checks). But since it is rarely the case that all depositors want to withdraw all their gold at the same time, banker need keep only a fraction of his total deposits in gold as reserves. This enables the banker to loan out more than the amount of his gold deposits (which means that he holds claims to gold rather than gold as security for his deposits). But the amount of loans which he can afford to make is not arbitrary: he has to gauge it in relation to his reserves and to the status of his investments. When banks loan money to finance productive and profitable endeavors, the loans are paid off rapidly and bank credit continues to be generally available. But when the business ventures financed by bank credit are less profitable and slow to pay off, bankers soon find that their loans outstanding are excessive relative to their gold reserves, and they begin to curtail new lending, usually by charging higher interest rates. This tends to restrict the financing of new ventures and requires the existing borrowers to improve their profitability before they can obtain credit for further expansion. Thus, under the gold standard, a free banking system stands as the protector of an economy’s stability and balanced growth. When gold is accepted as the medium of exchange by most or all nations, an unhampered free international gold standard serves to foster a world-wide division of labor and the broadest international trade. Even though the units of exchange (the dollar, the pound, the franc, etc.) differ from country to country, when all are defined in terms of gold the economies of the different countries act as one–so long as there are no restraints on trade or on the movement of capital. Credit, interest rates, and prices tend to follow similar patterns in all countries. For example, if banks in one country extend credit too liberally, interest rates in that country will tend to fall, inducing depositors to shift their gold to higher-interest paying banks in other countries. This will immediately cause a shortage of bank reserves in the “easy money” country, inducing tighter credit standards and a return to competitively higher interest rates again. A fully free banking system and fully consistent gold standard have not as yet been achieved. But prior to World War I, the banking system in the United States (and in most of the world) was based on gold, and even though governments intervened occasionally, banking was more free than controlled. Periodically, as a result of overly rapid credit expansion, banks became loaned up to the limit of their gold reserves, interest rates rose sharply, new credit was cut off, and the economy went into a sharp, but short-lived recession. (Compared with the depressions of 1920 and 1932, the pre-World War I business declines were mild indeed.) It was limited gold reserves that stopped the unbalanced expansions of business activity, before they could develop into the post- World War I type of disaster. The readjustment periods were short and the economies quickly reestablished a sound basis to resume expansion. But the process of cure was misdiagnosed as the disease: if shortage of bank reserves was causing a business decline- argued economic interventionists-why not find a way of supplying increased reserves to the banks so they never need be short! If banks can continue to loan money indefinitely–it was claimed–there need never be any slumps in business. And so the Federal Reserve System was organized in 1913. It consisted of twelve regional Federal Reserve banks nominally owned by private bankers, but in fact government sponsored, controlled, and supported. Credit extended by these banks is in practice (though not legally) backed by the taxing power of the federal government. Technically, we remained on the gold standard; individuals were still free to own gold, and gold continued to be used as bank reserves. But now, in addition to gold, credit extended by the Federal Reserve banks (paper reserves) could serve as legal tender to pay depositors. When business in the United States underwent a mild contraction in 1927, the Federal Reserve created more paper reserves in the hope of forestalling any possible bank reserve shortage. More disastrous, however, was the Federal Reserve’s attempt to assist Great Britain who had been losing gold to us because the Bank of England refused to allow interest rates to rise when market forces dictated (it was politically unpalatable). The reasoning of the authorities involved was as follows: if the Federal Reserve pumped excessive paper reserves into American banks, interest rates in the United States would fall to a level comparable with those in Great Britain; this would act to stop Britain’s gold loss and avoid the political embarrassment of having to raise interest rates. The “Fed” succeeded: it stopped the gold loss, but it nearly destroyed the economies of the world, in the process. The excess credit which the Fed pumped into the economy spilled over into the stock market-triggering a fantastic speculative boom. Belatedly, Federal Reserve officials attempted to sop up the excess reserves and finally succeeded in braking the boom. But it was too late: by 1929 the speculative imbalances had become so overwhelming that the attempt precipitated a sharp retrenching and a consequent demoralizing of business confidence. As a result, the American economy collapsed. Great Britain fared even worse, and rather than absorb the full consequences of her previous folly, she abandoned the gold standard completely in 1931, tearing asunder what remained of the fabric of confidence and inducing a world-wide series of bank failures. The world economies plunged into the Great Depression of the 1930’s. But the opposition to the gold standard in any form-from a growing number of welfare-state advocates-was prompted by a much subtler insight: the realization that the gold standard is incompatible with chronic deficit spending (the hallmark of the welfare state). Stripped of its academic jargon, the welfare state is nothing more than a mechanism by which governments confiscate the wealth of the productive members of a society to support a wide variety of welfare schemes. A substantial part of the confiscation is effected by taxation. But the welfare statists were quick to recognize that if they wished to retain political power, the amount of taxation had to be limited and they had to resort to programs of massive deficit spending, i.e., they had to borrow money, by issuing government bonds, to finance welfare expenditures on a large scale. Under a gold standard, the amount of credit that an economy can support is determined by the economy’s tangible assets, since every credit instrument is ultimately a claim on some tangible asset. But government bonds are not backed by tangible wealth, only by the government’s promise to pay out of future tax revenues, and cannot easily be absorbed by the financial markets. A large volume of new government bonds can be sold to the public only at progressively higher interest rates. Thus, government deficit spending under a gold standard is severely limited. The abandonment of the gold standard made it possible for the welfare statists to use the banking system as a means to an unlimited expansion of credit. They have created paper reserves in the form of government bonds which-through a complex series of steps-the banks accept in place of tangible assets and treat as if they were an actual deposit, i.e., as the equivalent of what was formerly a deposit of gold. The holder of a government bond or of a bank deposit created by paper reserves believes that he has a valid claim on a real asset. But the fact is that there are now more claims outstanding than real assets. The law of supply and demand is not to be conned. As the supply of money (of claims) increases relative to the supply of tangible assets in the economy, prices must eventually rise. Thus the earnings saved by the productive members of the society lose value in terms of goods. When the economy’s books are finally balanced, one finds that loss in value represents the goods purchased by the government for welfare or other purposes with the money proceeds of the government bonds financed by bank credit expansion. This is the shabby secret of the welfare statists’ tirades against gold. Deficit spending is simply a scheme for the “hidden” confiscation of wealth. Gold stands in the way of this insidious process. It stands as a protector of property rights. If one grasps this, one has no difficulty in understanding the statists’ antagonism toward the gold standard. by Ayn Rand with additional articles by Alan Greenspan – 1967.